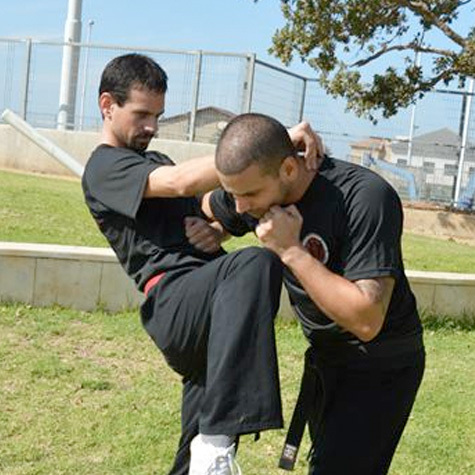 Krav Maga is the simplest and most effective method of Self Defense and Violence Prevention. Krav Maga provides the individual with the tools necessary to develop and enhance their natural instincts and capabilities. From both physical and mental aspects, Krav Maga teaches the student how to react to different types of potential and actual physical attack situations - events that are becoming more common in the modern world. This includes physical attacks, choking, and weapon threats involving knives and guns, among others. Understanding the risks, combined with Krav Maga’s practical approach, in most cases allows the trained individual to avoid violence if possible and effective defense if necessary. Moreover, training in Krav Maga will improve your overall physical fitness, self-confidence, self- control and will instill important life values such as discipline, perseverance, respect for others and the ambition to strive for excellence. Krav Maga is for people of all ages and sexes and is appropriate for ordinary civilians as well as those in defense and security. Krav Maga will protect you and your children. We invite you and your family to join us for a free trial class. 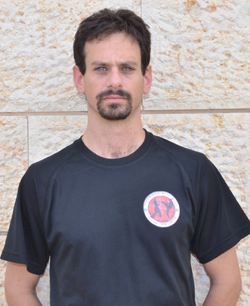 Dan 4, instructor in Even Yehuda, Israel.